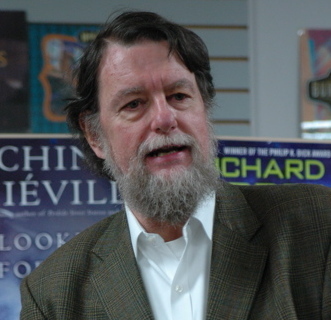 Robert Jordan (real name James Oliver Rigney, Jr, 1948–2007) was born in Charleston, South Carolina, where he lived in a house built in 1797 with his wife Harriet, who works as a book editor. He was a graduate of The Citadel, the Military College of South Carolina, with a degree in physics. He served two tours in Vietnam with the U.S. Army. A history buff, he also wrote dance and theater criticism. He enjoyed the outdoor sports of hunting, fishing, and sailing, and the indoor sports of poker, chess, pool, and pipe collecting. Jordan described himself as a ”High Church” Episcopalian. He died of amyloidosis in 16th of September, 2007. Robert Jordan had said that his pen names had all been chosen from three lists of names using his real initials, and that one of his pen names managed to contain all three of his initials in both the first name and the surname. On March 2006, Jordan disclosed in a statement that he had been diagnosed with primary amyloidosis with cardiomyopathy, and that, with treatment, his median life expectancy was four years, though he said he intended to beat the statistics. He later posted on his blog to encourage his fans not to worry about him. Photo by Jeanne Collins. Source: Wikimedia Commons.